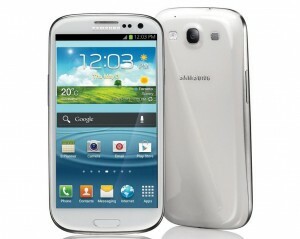 One of the best smartphones on the market right now, definitely is the SAMSUNG GALAXY S 3. A beautiful phone with a lot of useful functions and a great overall performance at the time that we tested it. ne of the best smartphones on the market right now, definitely is the SAMSUNG GALAXY S 3. A beautiful phone with a lot of useful functions and a great overall performance at the time that we tested it. The design, according to Samsung is inspired by nature – it sees, listens, responds, and allows you to share the greatest moments. Maybe that’s why it reminds us a little of a river stone – a slim frame with rounded corners, comfortable in the hand, despite of its length. The color options are – black, white, blue, silver and a special edition for this year’s Olympic games. With its dimentions of 136.6 mm hight, 70.6 mm width and thickness of 8.6 mm, this smartphone is big, but slim and weights only 133 gr with the battery included. The color options are – black, white, blue, silver and a special edition for this year’s Olympic games. The case is made by metal and brushed polycarbonate, which covers the entire rear panel and feels really lightweight and flexible but also strong. The display is a capacitive touchscreen DH Super AMOLED with a diagonal of 4.8“ and a 720 x 1280 pixels resolution. It’s coved in Gorilla Glass 2 and is scratch resistant. Samsung’s new technology of transmiting images, combined with 16 million color shades make the picture extremely vivid and bright. It was a true pleasure for us, during our testing to watch some wild life videos and play dynamic games. In the upper corner of the display, along with the light and proximity sensors, we find the camera for video calls with a 1.9 MP equivalent. We took two Samsung Galaxy S 3 phones and connected them in a video call conversation – the picture is crystal clear with great quality. But let’s pay the deserved attention on the main camera, which we find at the upper part of the rear panel, surrounded by strong LED flash and a speaker. It’s 8 MP with a resolution of 3264 x 2448 pixels. It’s 8 MP with a resolution of 3264 x 2448 pixels. We were pleasantly surprised of the picture quality – we took a pretty good photo at bright sunlight, with autofocus and image stabilization. Along with the extras we find touch focus, face and smile detection and the geo-tagging, combined with the navigation system. In case you want to shoot a video it will be FULL HD 1080p with 30fps. And you can also take pictures while you shoot your video, without interrupting it. The battery is Li-Ion with a charge of 2100 mAh and could stand up to 21 hour and 40 minutes of talk time.